Can intestinal bacteria in your gut lead to binge drinking? 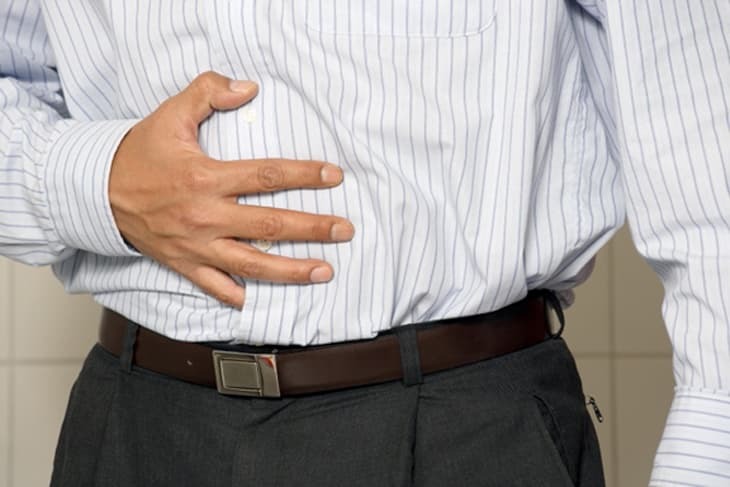 New research out of Belgium shows bacteria found in the human gastrointestinal tract not only promotes inflammation, it can also spark dangerous alcohol cravings among problem drinkers. This is an alarming piece of information, as it seems to indicate cravings can be spurred on by our own bodies. The study, published in last month’s issue of Biological Psychiatry, was conducted at Université Catholique de Louvain. Using 63 alcohol-dependent patients and 14 healthy volunteers, scientists found that when gut-derived bacterial products cross the intestinal barrier, it resulted in inflammatory pathways being activated in blood mononuclear cells. This inflammation severity was correlated with alcohol consumption and cravings experienced by the dependent participants, which could promote continued heavy drinking episodes within this population. The silver lining, however, is that the damaged inflammatory tissues seemed to recover as soon as the patients were detoxed. "This establishes a new concept where events having their origin at peripheral sites in the body could modify central brain mechanisms that ultimately influence behaviour [sic] in alcohol dependence," said co-author Dr. Peter Stärkel. New treatments for alcohol addiction are essential, as many problem drinkers try quitting cold turkey – with very limited success. A study released last May in the Journal of the American Medical Association showed that only 10 percent of alcoholics were prescribed medication to help overcome their addiction. The findings were culled from over 120 research studies involving 23,000 patients who were in the process of being treated for alcoholism. Naltrexone, which blocks brain receptors from receiving pleasure from certain drugs, and acamprosate, which helps regulate brain chemicals during withdrawal, showed the most promise. However, most of the study participants were never prescribed any of these medications. What’s more, many physicians are unaware these drugs are even an option for treating alcoholism. Learn more about alcohol detox and withdrawal.